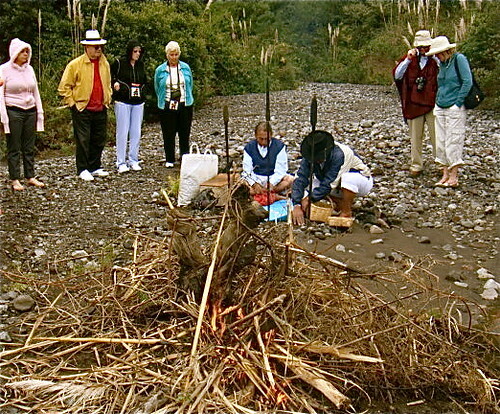 Ecuador shamans use imagination to enhance longevity. Stress is a frequent cause of disease that shortens our lives. Yet most stress is created by total figments of our imagination. Most religious and medical disciplines tell us how to combat the imaginary diseases before they become hardened into a physical realm… with Faith… Prayer…. Meditation… and Imagination. After yesterday’s message about Ecuador Profit & Imagination a reader reminded me of Albert Einstein “Imagination is more important than knowledge”. 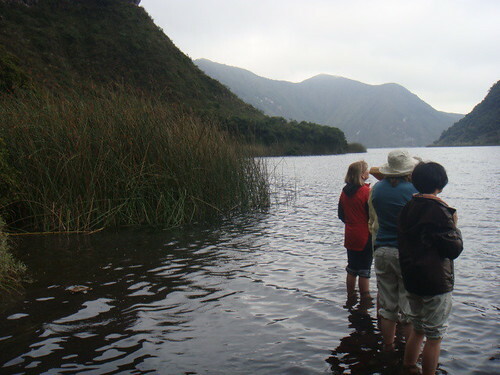 Our Ecuador shamanic minga tour uses imagination when we visit the sacred Lake Quicocha. Here are delegates on a minga with Merri loading at the dock. 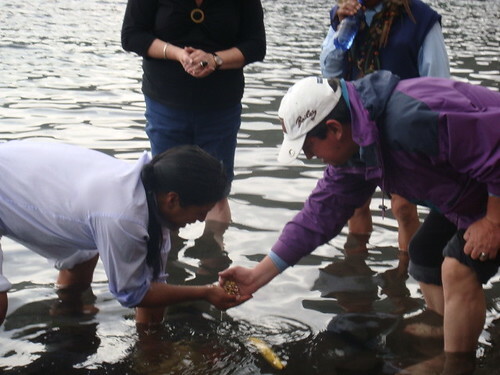 Ecuador shamans use imagination as a vital part of their healing… as do healers in many part so the world. The proper use of imagination plays an important part in some of the internal exercises. It has been recognized for centuries that a thought is as much a material reality as a material object and in fact they are one in the same. They are both forms of energy, the distinguishing difference being that they exist at different frequencies and wave lengths of vibration. Imagination is used in some cases to bring together the mind and the body so that they function as a unit. By using our imagination we may begin to explore our minds and bodies. 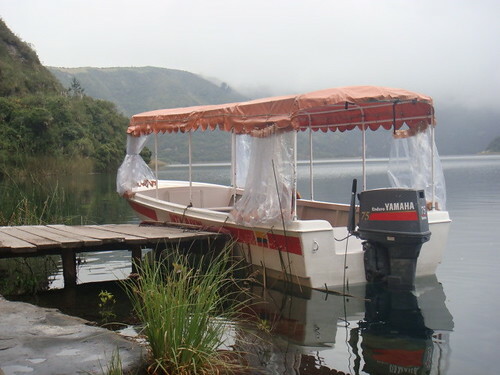 Our Ecuador shamanic minga delegates travel to the other side of this mist shrouded lake in these boats. Chang supports this thought with studies from Dr Karl H. Pribram who is a professor at Georgetown University , and an emeritus professor of psychology and psychiatry at Stanford University and Radford University. He is a board-certified neurosurgeon and received a Nobel prize for pioneering work on the limbic system, relationship of the frontal cortex to the limbic system, the sensory-specific “association” cortex of the parietal and temporal lobes, and the classical motor cortex of the human brain. Some philosophers and scientists even believe that our world is a hologram. Dr. Pribram’s research suggests that everything is made of every person’s projection, individually and also as well as collectively. 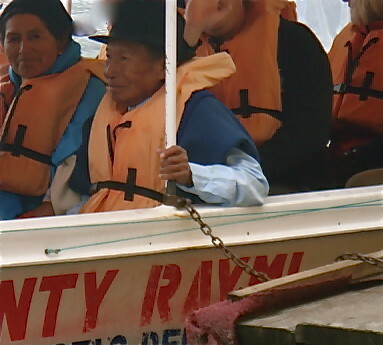 This Ecuador yatchak and his wife take us across the lake. Both Science and Spiritual have already proved (or not exactly) that we are all interconnected with each other. Quantum Physics has discovered that in the purest form of all existence, there is only energy. In a hologram, the whole world is actually contained in every single part, which also means that when a light is shone through the smallest sliver of a holographic film will reveal the whole image. I mean, “The whole thing!” And this is true no matter how microscopically small it may goes. If indeed we’re right that these quantum-like phenomena, or the rules of quantum mechanics, apply all the way through to our psychological processes, to what’s going on in the nervous system — then we have an explanation perhaps, certainly we have a parallel, to the kind of experiences that people have called spiritual experiences. Because the descriptions you get with spiritual experiences seem to parallel the descriptions of quantum physics. That’s why Fritjof Capra wrote The Tao of Physics, why we have The Dancing Wu Li Masters, and all of this sort of thing that’s come along. And in fact Bohr and Heisenberg already knew; Schroedinger talked about the Upanishads, and Bohr used the yin and yang as his symbol. Because the conceptions that grew out of watching the quantum level — and therefore now the neurological and psychophysical level, now that it’s a psychological level as well — seem to have a great deal in common with our spiritual experience. Now what do I mean by spiritual experience? You talked about mental activity, calling it the mind. That aspect of mental activity, which is very human — it may be true of other species as well, but we don’t know — but in human endeavor many of us at least seem to need to get in contact with larger issues, whether they’re cosmology, or some kind of biological larger issue, or a social one, or it’s formalized in some kind of religious activity. But we want to belong. And that is what I define as the spiritual aspects of man’s nature. If this is true then a thought reflects the entire universe. we plant our wishes… desires… plans… our imagination. 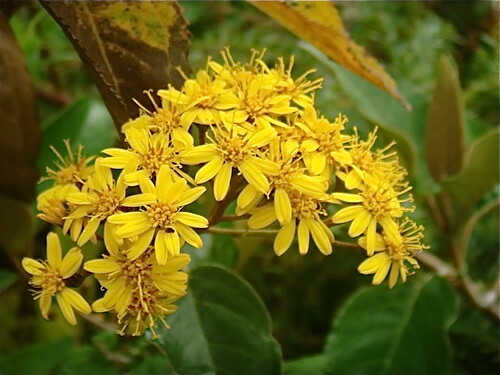 Ecuador shamanic healing uses imagination in healing in similar ways to the Taoist approach to health. 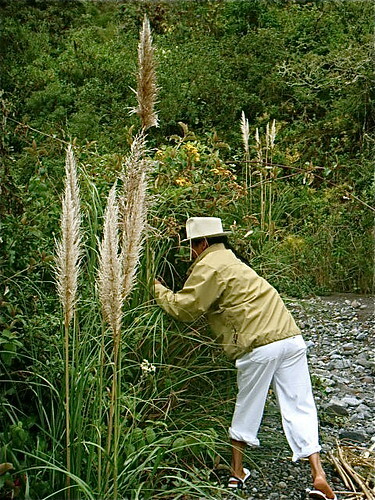 For example maintaining balance during accelerated change is a root of Ecuador shamanic and Taoist healing. Both of these sciences believe that stress, environmental social and internal are the initiators of disease so they recommend internal exercises that restore balance and increase longevity. 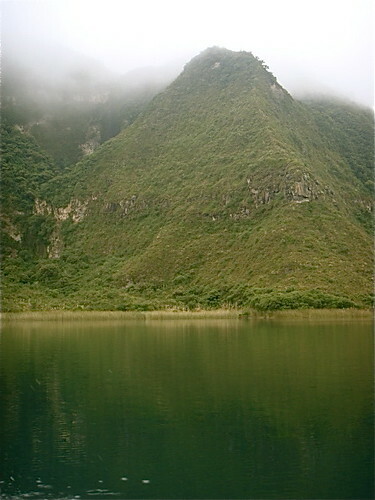 For example Taoist healers believe that change upsets the water balance when people feel confined and restricted by circumstances in which they lack freedom. This water imbalance can clog the functions of the kidneys, bladder and urinary tract. The exercise to restore balance is called The Monkey Exercise because the monkey epitomizes boundless activity, curiosity and free will. Begin by standing or sitting. Take a few deep breaths while imagining yourself a monkey. When the visualization is complete, kick off your shoes. Throw off your clothes, and begin to act like a little monkey. Sit on the floor. Crouch in a chair. Leap about. Bounce up and down. Hang upside down or by one arm, whatever is physically possible to do without strain or exertion. This exercise is completely free-style; all the movements and actions should act out impulses and whims as they occur to you. Such a simple… yet effective exercise for longevity… using just imagination. 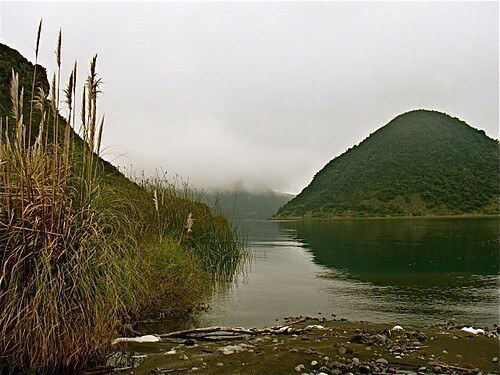 the yatchak taught is to look ahead… then close our eyes and keep walking… to trust and have faith in what we are… what we know and our connection with the whole. That’s a good exercise… but perhaps best started in an empty… flat field! Excessive stress shortens lives and kills. Yet this frequent visitor is almost entirely (or perhaps is entirely) created by total figments of our imagination. 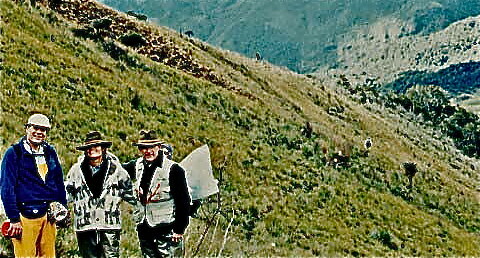 Ecuador shamans and healers using ancient wisdom (and MDs with sugar pills and placebos) fight fire with fire and use imagination to heal and enhance longevity. 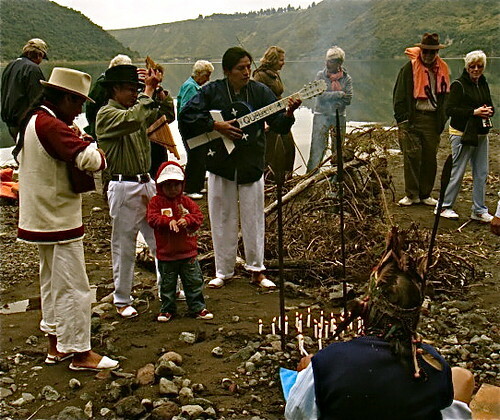 Ecuador shamans use music in their ceremonies. 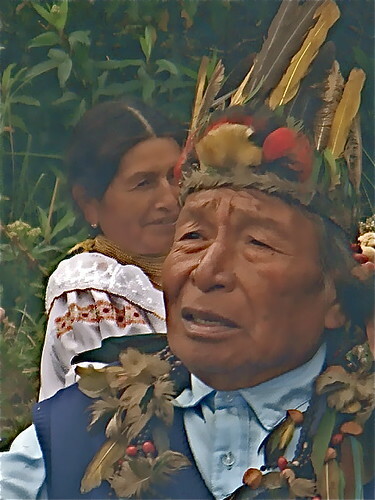 like at this Ecuador shaman minga. Join us for all or part of our March split session that begins in Florida with our Super Thinking plus Spanish course and learn how to use music to enhance intelligence and longevity as well as to speak Spanish. 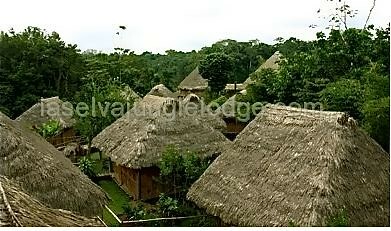 Then attend our March 2101 Ecuador Shamanic Minga tour. Here is our March 2010 tour schedule. Or Join us all year long and save. 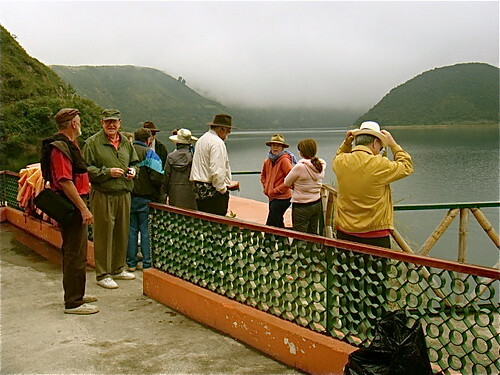 The Ecuador airfare war makes it cheaper to get to Ecuador than ever before… and there is still time to enjoy great Ecuador tour savings. You can enjoy discounts by attending multiple seminars and tours but the greatest savings is our 2010 International Club membership. This membership allows you and a guest to attend as many of the 51 courses and tours we’ll sponsor and conduct in 2010 (fees would be $40,947 for all these courses individually) is only $3,500. You can also enroll with three monthly payments of $1,190. Your attendance fees at all courses will be waived. You and a guest of you choice can attend courses worth $40,947.You can calculate the savings as our schedule of all 2010 courses here.